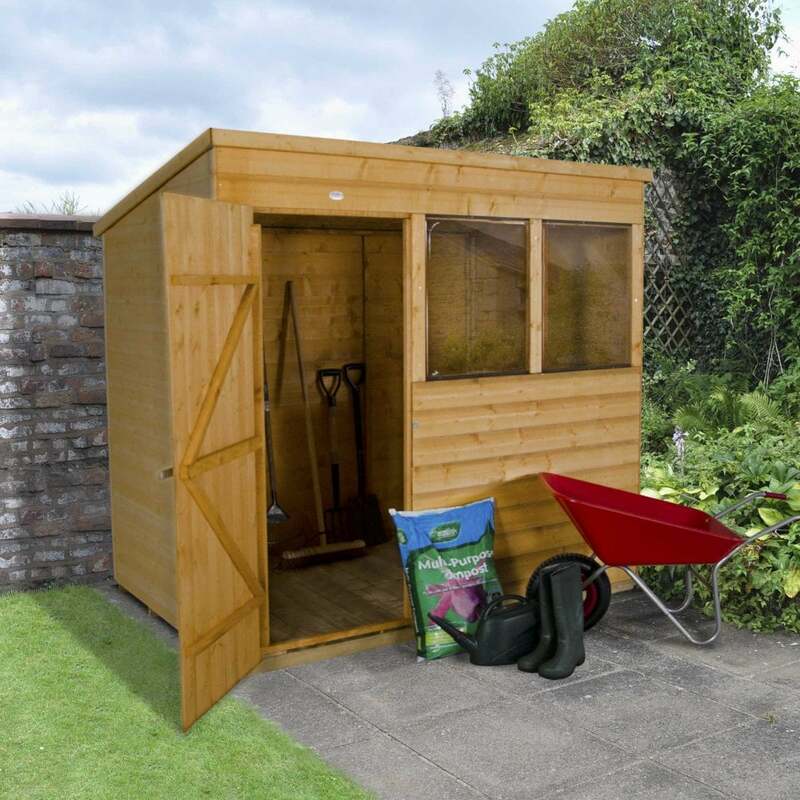 Forest Garden 7 x 5 Shiplap Dip Treated Pent Shed: This Forest Garden shiplap dip treated pent shed is a great solution for storage away from the home, the door is off centre and the two windows are in the front of the shed for added light and space at the front of the building. The shed has a pent roof to provide optimum head room when entering the door and to enable rainwater to run off the back of the shed. This wooden shed is constructed from tongue and groove shiplap timber which is tight fitting to help keep the wind and rain out, the wood is FSC approved from a sustainable source and has been dip treated in the factory to provide a base coat to the regular treatment that you are required to apply. This shed includes felt to give you a water resistant roofing material to protect your belongings. This shed benefits from a pressure treated boarded floor and an OSB roof and includes several security features such as double Z framing on the door, hidden door hinges, a hasp and staple lock and windows fitted with security screws. This shed is delivered in kit form for simple self-assembly by two or more people.